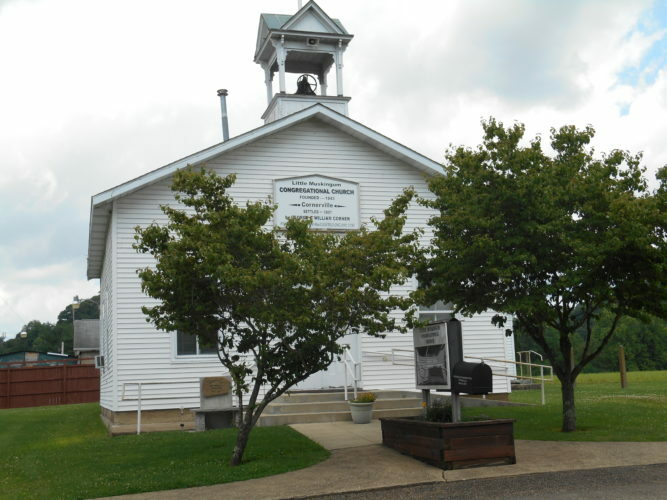 “The Golden Rule,” theme of Vacation Bible School at Belpre Heights United Methodist Church and St. Marks United Methodist Church, which will be held at 720 Clement Ave. Belpre, 1 to 5 p.m., June 23. Virtuous Reality Puppeteer Group will present Black light Puppet Ministry. Make your own puppets and learn how to work them. Whole families are invited. “Heroes Central,” theme of Vacation Bible School at Reno Christian Church, Ohio 7 in Reno, from July 9 to 13, 6:30 to 8:30 each evening; all children pre-kindergarten through sixth grade are invited. “Shipwrecked: Rescued by Jesus,” theme of Vacation Bible School at Pioneer Presbyterian Church, 873 Farson St., Belpre, from July 9 to 13, 6 to 8:30 p.m. each evening; for kids ages kindergarten to grade 6; kids at Shipwrecked VBS will join a missions effort to provide mosquito netting to aid in the reduction of malaria in Africa; registration will begin Monday, July 9, at 5:30 p.m.; for more information, 740-423-5890. “GAME ON,” theme of Vacation Bible School at North Hills Baptist Church, 108 Stonecrest Drive, Marietta, from July 16, 17 and 18; will be held each evening from 6 to 8 p.m.; call 740-374-7156 for any questions and pre-registration. “Noah’s Ark,” theme of Vacation Bible School 2018 at Norwood United Methodist Church, 23 Colegate Drive, Marietta, from Sunday, July 22-Thursday, July 26; each evening from 6:30 to 8:30 p.m.; or ages 3 and up; for more information: 740-374-5606. The 2018 Garden Plant and Bake Sale, 1 to 5 p.m., Sunday, June 24, at Marietta’s historic Unitarian Universalist Society, 232 Third St; plant sale will feature a variety of perennials, annuals, bulbs, plant divisions, seeds, native plants, houseplants, and succulents from local gardeners, along with gently used garden tools and planters; among the plant donations are heritage irises, native red honeysuckle, jewel orchid, liatris, ostrich fern, daisies, moonflower, kousa dogwood, and spiderwort; baked goods will be available for purchase in the church courtyard. All sale proceeds go to the maintenance of the society’s 1857 Gothic Revival building, designed by architect John Slocum, who also designed the Castle. Parking is available in the Huntington Bank lot, but you are asked not to block the ATM and night deposit lanes. St. Bernard’s Catholic Church Social, Wednesday, June 27, chicken or ham dinner; serving from 4 to 7 p.m.; $10 per person; $5 (12 and under); games, bingo, raffle, country store, Take a Chance; snow cones. Operation Christmas Child and Porterfield Baptist Church fundraiser and silent auction, June 28, from 4 to 8 p.m., at Wendy’s in Belpre; baked goods will be available for purchase, as well as a silent auction and prizes; all proceeds will benefit Operation Christmas Child. ¯ 5 to 6 p.m., second Thursday of each month, Tunnel United Methodist Church, Ohio 550 and Coffman Road, Marietta. Handicapped parking is available in the upper parking lot by the church entrance. To request to have a meal delivered within a five-mile radius, leave a message at 740-374-5634. ¯ Beverly United Methodist Church community lunch, 11:30 a.m. to 1 p.m., the last Saturday of each month; church is handicapped accessible; call ahead for carryout at 740-984-2100.